Chiro Adelaide stocks the practitioner only range of vitamin, mineral, herbal and dietary nutritional supplements, by Metagenics. 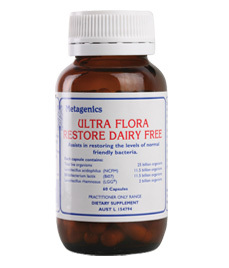 Assists in restoring the levels of normal friendly bacteria. Assist in the restoration of healthy gut flora. Ideal for use during and after antibiotic therapy.